WORLD ODYSSEYS, presented by the Istituto Geografico De Agostini, is a resource rich in cultural and geographical information. We’ll journey through great natural landscapes and see the places where art and history have left their marks. From sunny Greece to the snow-capped mountains of Norway, from the castles of Scotland to the nature reserves of Finland, from the wide open spaces and parks of North America to art capitals such as Istanbul and Granada, there’s no place our cameras haven’t been. Through these adventures, we’ll explore the history and archaeology of the fascinating cultures of these distant lands. We'll be in touch with the people living there. We'll hear the sounds of their lives and traditions, of their festivals and folklore. We'll discover their arts and crafts, and reveal their legends and secrets. It took two years and several camera crews to complete the production of this outstanding series. For each episode, the Steadycam, the Wescam Helicopter camera stabilizing system, and other state-of-the-art equipment was employed to achieve the high production values required by the Instituto Geografico De Agostini. At the beginning of each sequence, WORLD ODYSSEYS helps the viewer become oriented to the region using maps and computer graphics. 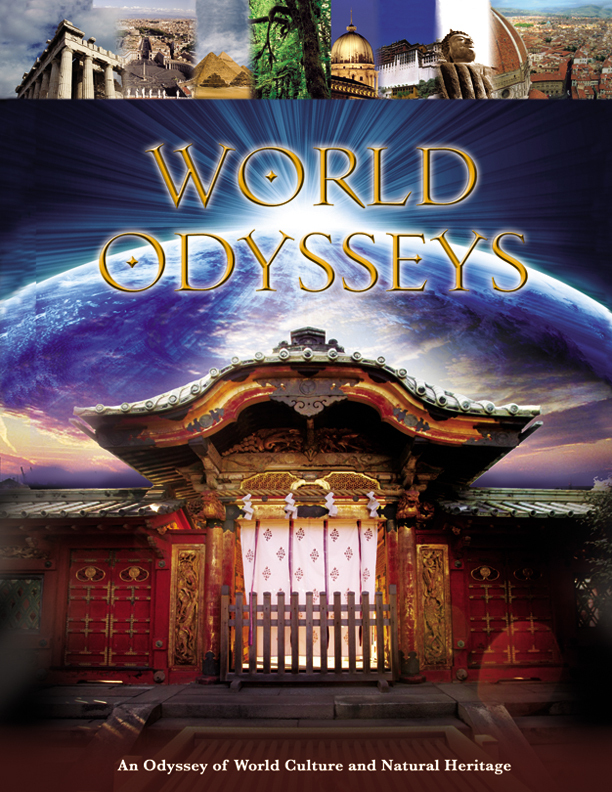 These elements, combined with truly unique and exciting editing create the arresting visual style of WORLD ODYSSEYS. A quest through the greatest nations the world has ever known. Gain a unique perspective about their chronological developments. From the great empires of England to Thailand's modern cities, from Australia's rainforests to the Alps of Germany, this series is designed to enhance the World History, Geography and Social Studies curriculum for the intermediate aged student on up.